The Patriot™ Chop/Wetout Systems deliver unprecedented precision, power, versatility and rugged construction for long lasting use. 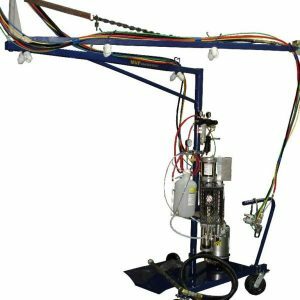 The Patriot™ Chop/Wetout system is a versatile pumping system that addresses many of the problems experienced in composites material application. 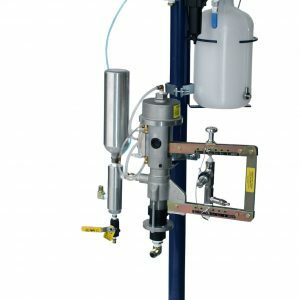 If your goal is to make quality parts with minimal overspray and greatly reduce waste materials, then the precision of this system is what you need. The key to efficient FRP production is achieving a uniform laminate. Precise metering is the key to correct many of the quality issues, such as porosity, inconsistent thickness and more that currently face composites manufactures. 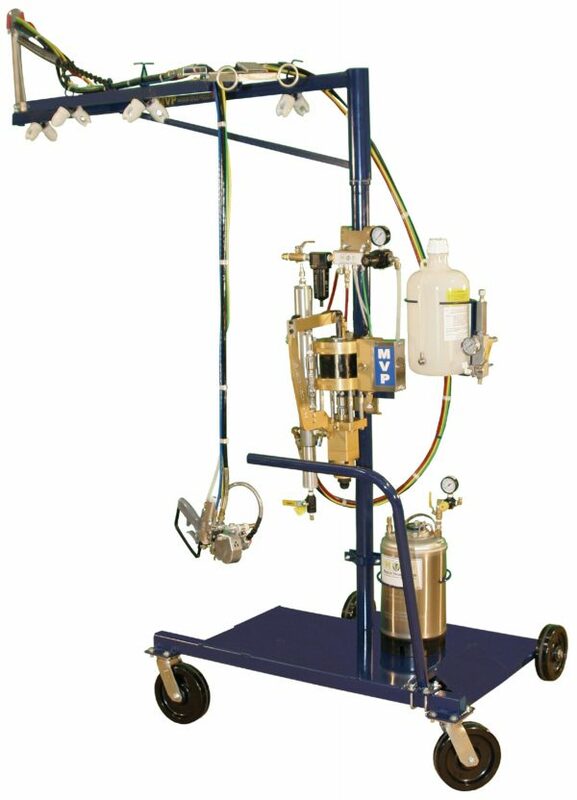 With a catalyst to resin variance ratio of 1% or less, the Patriot™ chop system runs circles around competitive systems that tested with variance ratios of 25% – 30%. 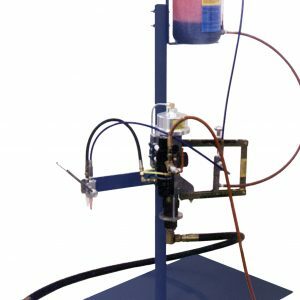 The Patriot™ Chop/Wetout System features a deep induction heat hardened Fluid Section which is then coated with a thick hard chrome layer to increase the wear characteristics of the system, allowing it to run for longer periods. Both the Fluid Section and Catalyst Pump on Patriot™ feature the new “self-healing” seal that has the lowest coefficients of friction available today. This seal does not require packing adjustments and greatly reduces the problems associated with heat build-up and wear. 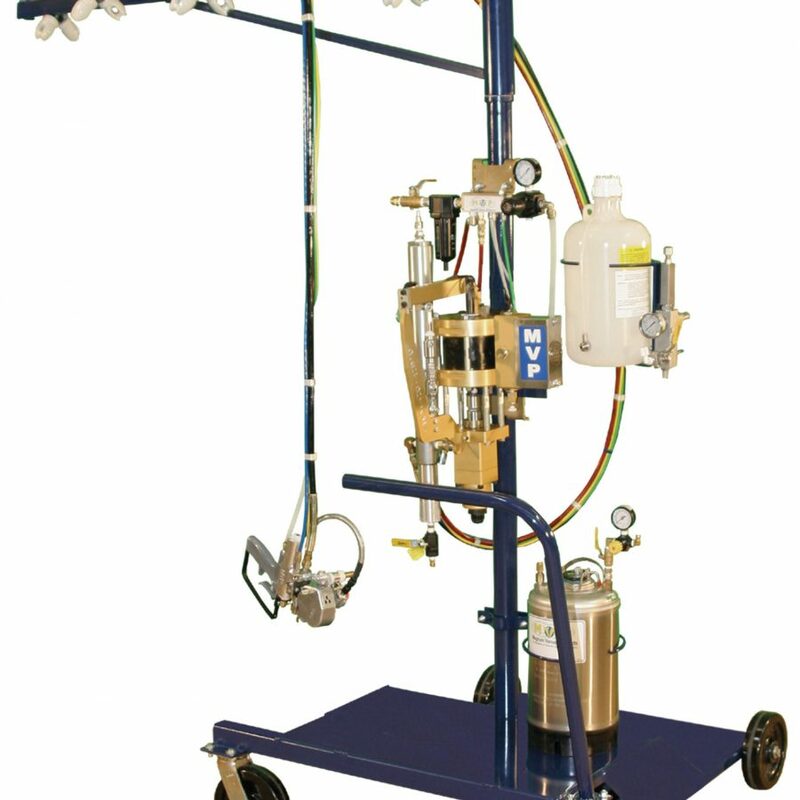 Patriot™ is designed and built with modular components to create the optimum configuration for your needs. Utilizing quick-change components extends the system life and allows for reduced down time. The major components change out in 10 minutes or less. If you are looking to take your operation to the next level, the Patriot™ Chop/Wetout System is the best move you can make.